Apple has singled out Greater China--including mainland China, Hong Kong and Taiwan--as a primary growth center. 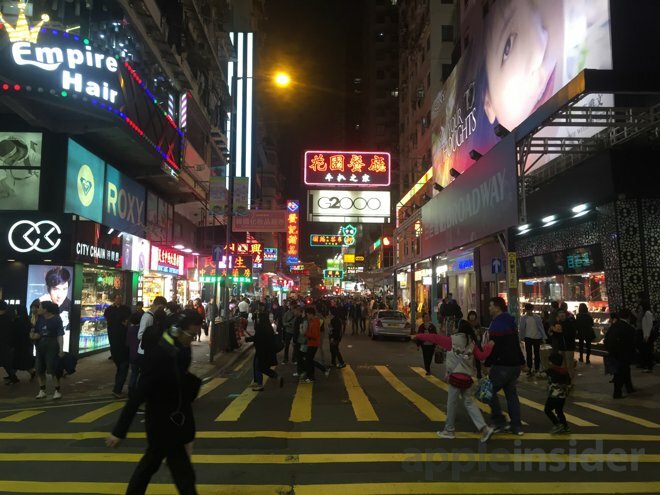 AppleInsider took a trip to learn more, starting with a week exploring Taiwan followed by a week in Hong Kong. Hong Kong is a former British colony located on a series of islands and a peninsula attached to mainland China's Guangdong (formerly known as Canton) province. It's home to 7.2 million people living in extreme density, in part because 70 percent of its land area has been designated as green space, serving as a series of parks. That's forced the city to grow upward, resulting in over 1,200 skyscrapers--with more buildings taller than 500 feet than any other city--and bragging rights to over one third of the world's top 100 tallest residential buildings. Despite so many massively tall buildings, Hong Kong's skyline is limited by legal restrictions on construction taller than the surrounding mountains. So rather than just having a few tall showpiece towers, much of Hong Kong is uniformly tall on a breathtaking scale. 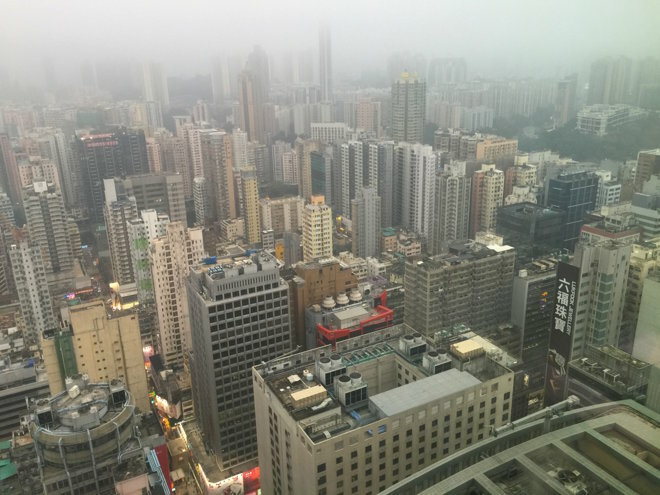 Kowloon in the fog, viewed from the 47th story of Langham Place. It looks like this in every direction. The city is not just dense but also affluent, with a GDP per capita nearly equal to the United States, despite even greater wealth disparity between the rich and poor. It's considered the world's third most important financial capital behind New York City and London, and has long served as the primary trading gateway to China. 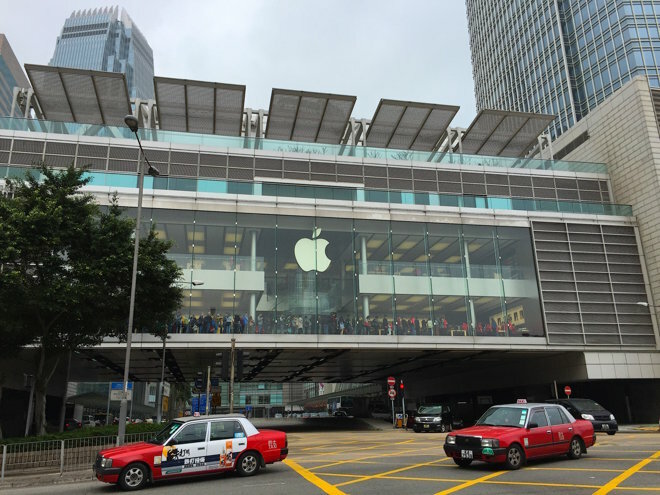 That has also made Hong Kong a strategically important location for Apple. 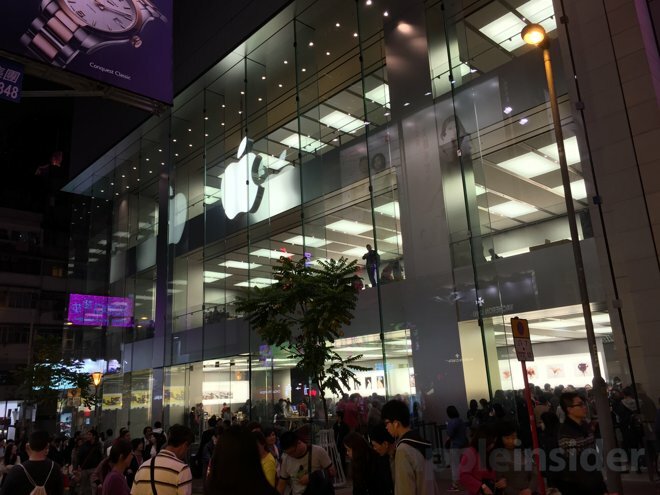 Apple currently has three retail stores in Hong Kong and is reportedly opening a fourth soon. Most of Apple's iPhones, iPads and Macs are built about an hour's drive north of central Hong Kong in Shenzhen, Guangdong, at Foxconn factories operated by Taiwan's Hon Hai Precision. Taiwan itself is 500 miles east of Hong Kong, or an hour and a half by air. 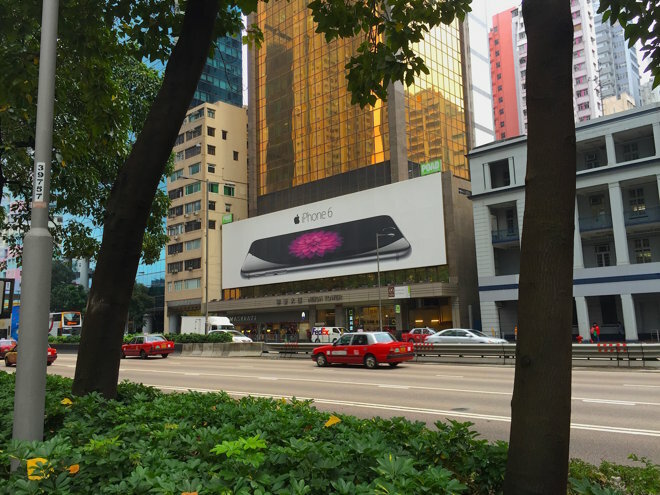 While Taipei--with the feel of a working class city--prominently featured lots of third party mobile app advertisements featuring App Store mentions and independent retail stores selling Apple products, the financial capital of Hong Kong seemed to have more of Apple's own billboard advertising (below), in addition to strategically located flagship Apple Stores. 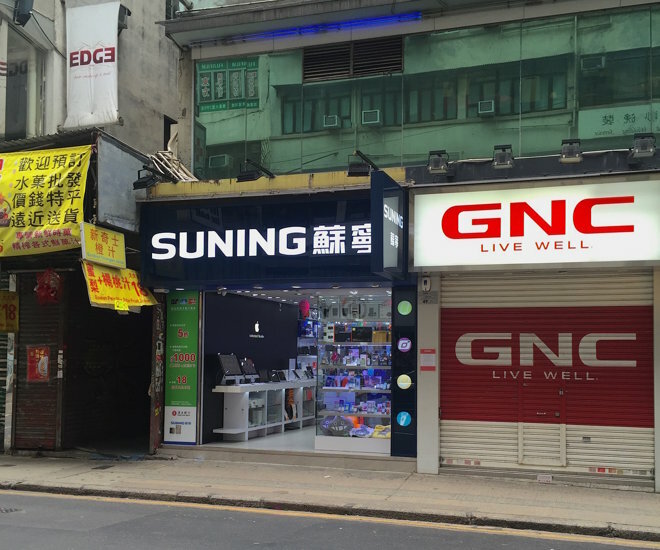 There were still many independent shops that appeared to be authorized resellers, such as Suning outlets with an Apple "store within a store." In northern Kowloon--the peninsula to the north of the iconic Hong Kong skyline of the island's Central district--Apple has a store within the Festival Walk mall, an upscale shopping center at Koowlong Tong station at To Fuk Road, at the intersection of the Kwun Tong metro line and the East Rail train that connects Hong Kong with Shenzhen to the north. 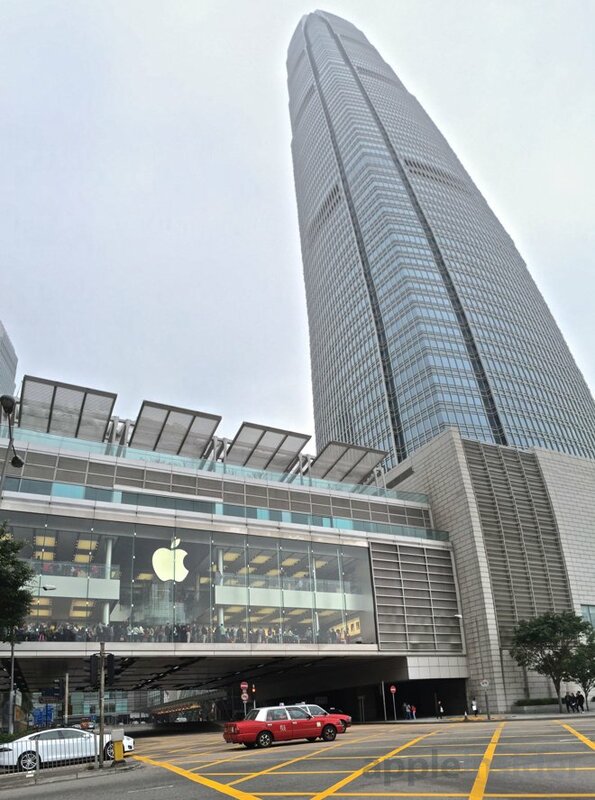 Apple is also reported to be building a second store in Kowloon close to the center of the city's Times Square-like shopping district known as Tsim Sha Tsui, not too far from the 108 story International Commerce Centre, Hong Kong's tallest building. In this busy shopping corridor, there are lots of billboards and sidewalk posters touting iPhone 6, including these building wraps (below) along the Lunar New Year parade route. 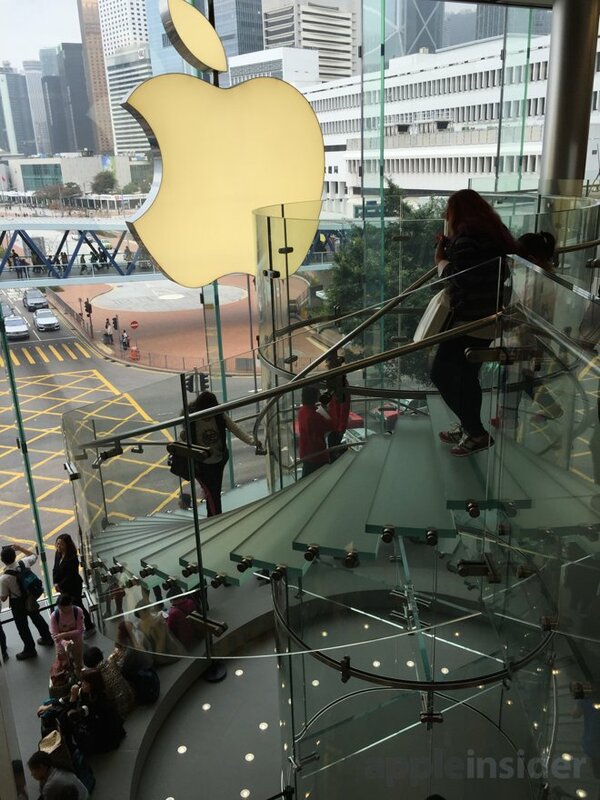 On Hong Kong Island itself, Apple has two additional flagship stores. The first opened in "ifc mall" at the base of the island's tallest tower: the 88 story International Finance Center 2. The two towers and the mall at the base of IFC are located above the underground Hong Kong railway terminal of the city's Airport Express train; the rail station is also linked to the nearby Central metro station by an underground pedestrian passage. 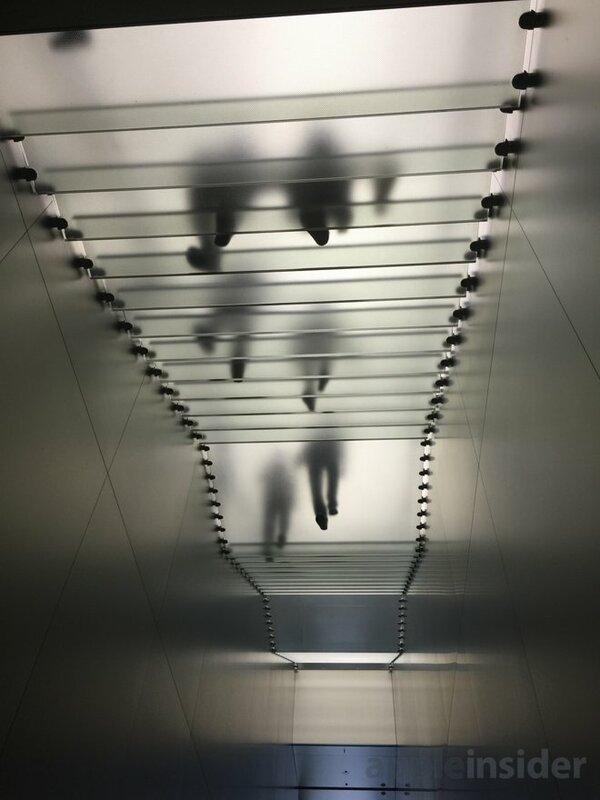 Apple's two level store at IFC opens up into the site's expansive mall but also features an interior glass stairwell (above) and an exterior glass wall that looks out over the Victoria Harbor waterfront. That wall of glass also provides a conspicuous presence for Apple's logo from the outside, forming a dazzling, illuminated bridge across the waterfront's primary access road at night. The store sits directly across from a long elevated pedestrian walkway that connects the central city to its ferry piers and a popular carnival. A tremendous number of people see this landmark as they pass by every day. A third Hong Kong store is located just three metro stops to the east at Causeway Bay, an expansive open air shopping area. This store is three stores tall, located within the base of the 36 story Hysan Place tower at Causeway Bay metro station. Inside, minimalistic glass stairwells take shoppers between levels. Two floors connect to the indoor mall within Hysan Place. Apple's store faces pedestrian-dominated streets on the back side of the tower, providing panoramic views from its three levels within a vast glass curtain. This store--and surrounding streets--was busy even at 10:30 at night. 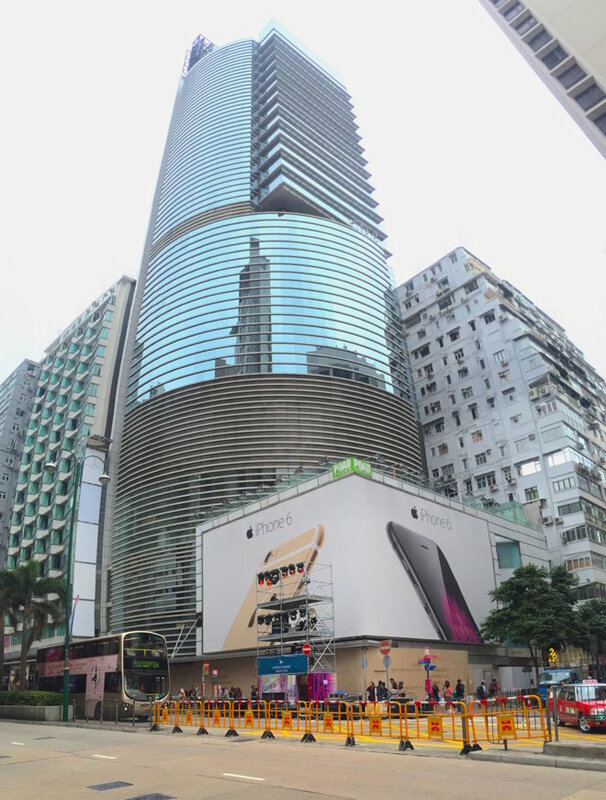 Apple's stores in Hong Kong are not only easily accessible by the MTR metro system, but also supply the iPads and iPhones that the transit system's 16,000 employees use to monitor its expansive network of 84 heavy rail stations and 68 light rail stops serving 1.82 billion passenger trips per year, one of the world's largest passenger transport systems. Apple recently profiled MTR Corporation's internal and public iOS apps used to facilitate everything from construction project planning and communications; to an emergency toolkit app for dealing with incidents such as typhoon impacts on service; to maintenance reporting and, of course, end user trip planning. Despite the common use of generic Android on low end phones throughout China, MTR's Head of Information Technology Ted Suen noted, "We have very stringent requirements for protecting corporate information. iOS provides a more secure architecture for local storage than other platforms. iPhone and iPad also have hardware encryption features, which is one of the reasons we chose these devices." The secure, hardware-accelerated encryption that Apple has supported by default in iOS since iPhone 3GS in 2009 has still not been matched by Android; Google's latest 5.0 Lollipop release was forced to delay deploying encryption by default because the fragmented, low cost hardware that Android makers have delivered simply can't perform device encryption with acceptable performance, even among flagship devices like Google's own Nexus line. AnandTech noted that due to Android's odd inability to use hardware accelerated encryption, "there's a very significant performance penalty that comes with enabling FDE [Full Disk Encryption]" in 5.0 Lollipop, specifically noting that Google's Nexus 6 suffered "a 62.9% drop in random read performance, a 50.5% drop in random write performance, and a staggering 80.7% drop in sequential read performance" with encryption turned on. Typical benchmarks of Nexus performance (and Android in general) are commonly run with encryption off, but even then Apple's iPhones with Full Disk Encryption on routinely outperform them in basic tasks. That edge in performance has increased with Apple's 2013 introduction of the 64-bit A7, with raw processing power and modern ABI support that comparable mainstream Android phones still haven't achieved, even with their encryption turned off. 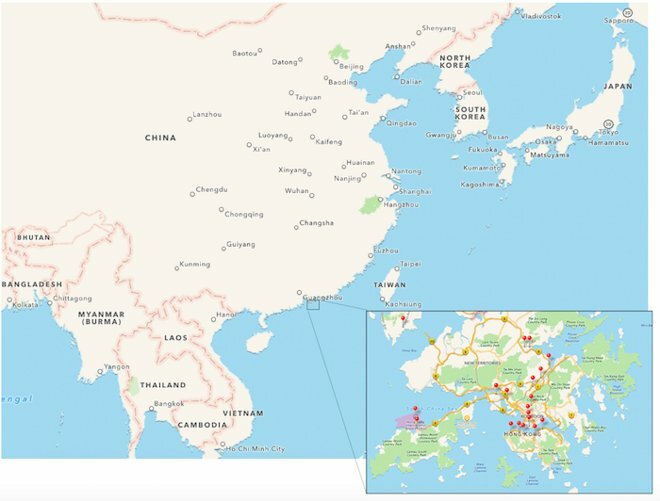 Apple's reporting segment of "Greater China" bundles Hong Kong and the mainland People's Republic of China with Taiwan. While Taiwan is a separate nation, Hong Kong was returned to China by Great Britain in 1997 under an agreement where Hong Kong would continue to operate independently as a capitalist economy under the "One China, two Systems" concept. Like the former Portuguese colony of Macau, Hong Kong exists as a "Special Administrative Region" within the People's Republic of China. Hong Kong remains easy for international tourists to visit, but mainland China requires a visa to enter, and even requires Hong Kong residents to pass through immigration checkpoints at the border, despite Hong Kong officially being part of the People's Republic of China for the past 18 years. Unlike Taiwan, Hong Kong existed as a British colony dating back to 1840, when the British conquered the territory in a war aimed at preventing China from blocking its imports of opium from India. One hundred years later, Japan invaded Hong Kong during WWII, but after Japan surrendered in 1945, the British resumed control, albeit over a population slashed in half by Japan's mass executions, starvations and forced deportations to mainland China for slave labor. Similar to Taiwan, post-WWII Hong Kong was rapidly repopulated by a mass infusion of mainland Chinese merchants and skilled labor fleeing the communist revolution. While Taiwan grew into a technology-centric economy under independent control, Hong Kong developed as a trading and financial center as a British Crown Colony, resulting in an English character reminiscent of London. The urban skyscrapers that began climbing in the 1970s mix in the feeling of New York City, while the island's steep hilly topography and reserved green space add in some of the character of San Francisco, resulting in a broadly cosmopolitan character to the city with lively, narrow alleys packed with people, shops and street vendors. At the same time, there's no mistaking that you're in Asia. 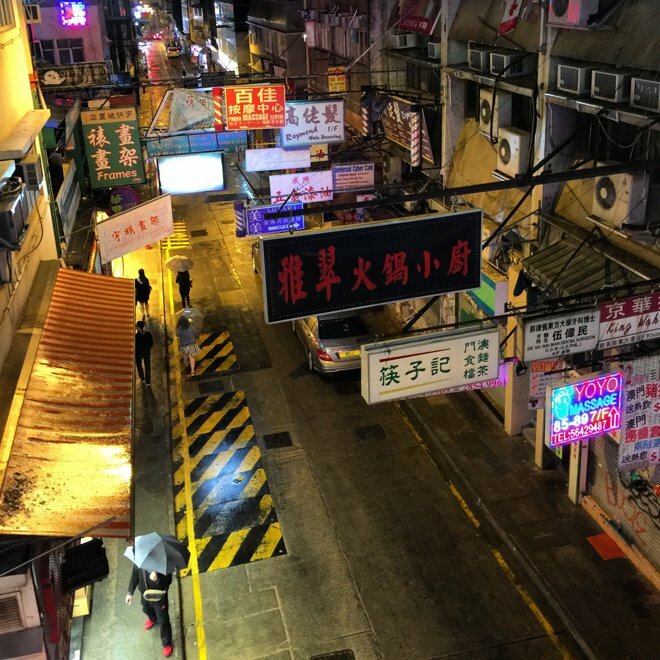 Particularly in Kowloon, side streets are dominated by massive neon signs competing for attention as they stretch out across roadways from buildings on both sides, held in place by impressive networks of guy-wires. While ostensibly allowed to operate independently of China, democracy is currently limited in Hong Kong, with potential candidates selected by China's legislative body, the National People's Congress. Over the past year, protests against mainland restrictions on candidates and voting have frequently involved crowds of 100,000 people, centered between Causeway Bay and Admiralty stations on the island of Hong Kong, as well as in Kowloon. Also at issue is the political future of Hong Kong, which is only guaranteed to remain independent and retain its existing rights and freedoms through 2047, fifty years after the British handed Hong Kong over to the People's Republic of China at the termination of the British Empire. China is also seeking to integrate Hong Kong closer into the mainland via expansions of its national high speed rail network that will link Guangdong, Shenzhen and Hong Kong. 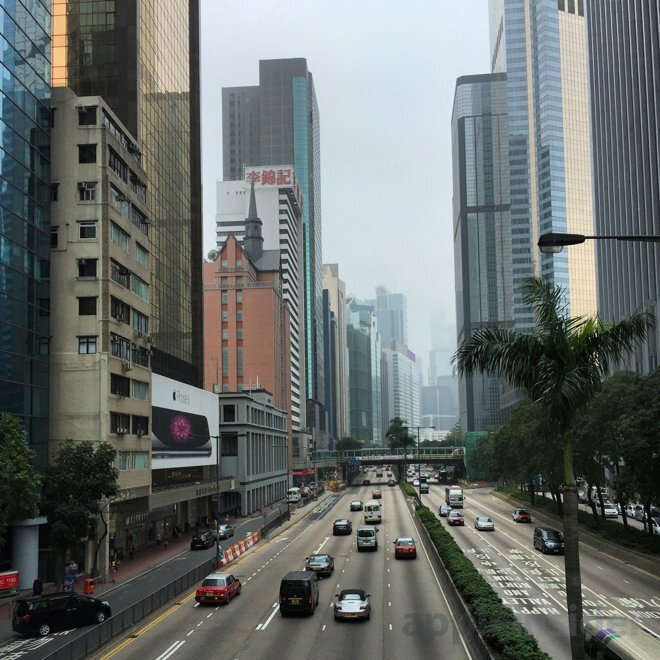 There is some concern among residents in Hong Kong that increased migrations and expanded trade with China will result in undesirable changes, ranging from inflation to an erosion of Hong Kong's existing character. It's easy for American citizens to visit Hong Kong and obtain a visa on arrival. 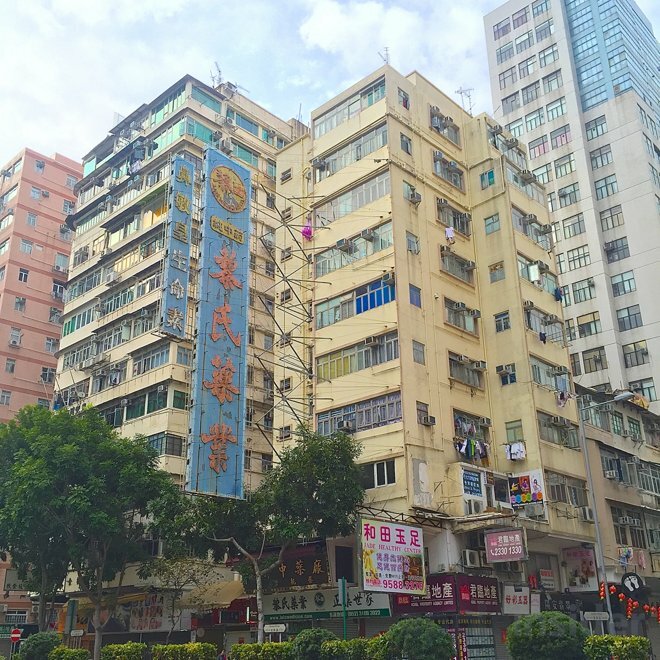 I spent a week in Hong Kong, largely within Kowloon, the western edge of the Island near Honk Kong University and in the Central center of the city. I also traveled north into the northern New Territories, an area that appears to be rural towns surrounded by parklands but is actually, I found, a series of massively dense housing block towers that stretch out in unfathomable density as far as you--or even a drone high in the sky--can see. Hong Kong has nearly the population of all of New York City, but those people live within developed urban areas taking up less than half as much land area, resulting in incredible density similar to Manhattan itself, but nearly five times as large. Thirty five years ago, Hong Kong's MTR began building its metro system, which is now comprehensive and efficiently moves incredible numbers of riders throughout the city and all the way to its northern border with China. You can ride the subway all the way to Shenzhen (if you have a Chinese visa) in less than an hour, then walk through customs and directly into Shenzhen's metro, or take a regional train to Guangzhou, China's third largest megacity about another hour and a half further north. 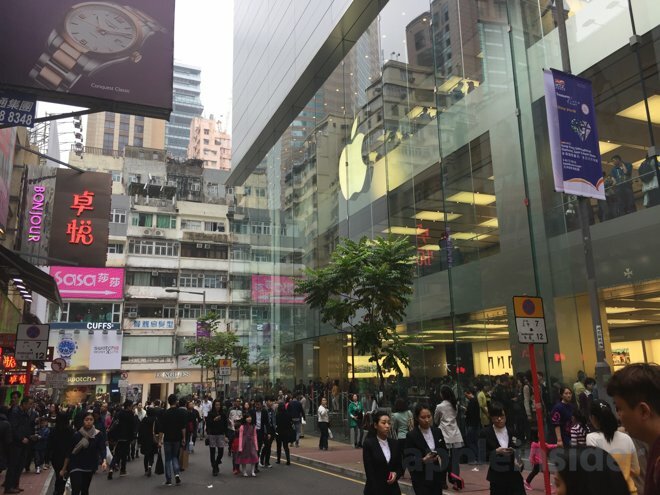 Hong Kong has more people than the four largest cities in California put together (Los Angeles, San Diego, San Jose and San Francisco), making its three existing Apple Stores just a taste of what the company could build. 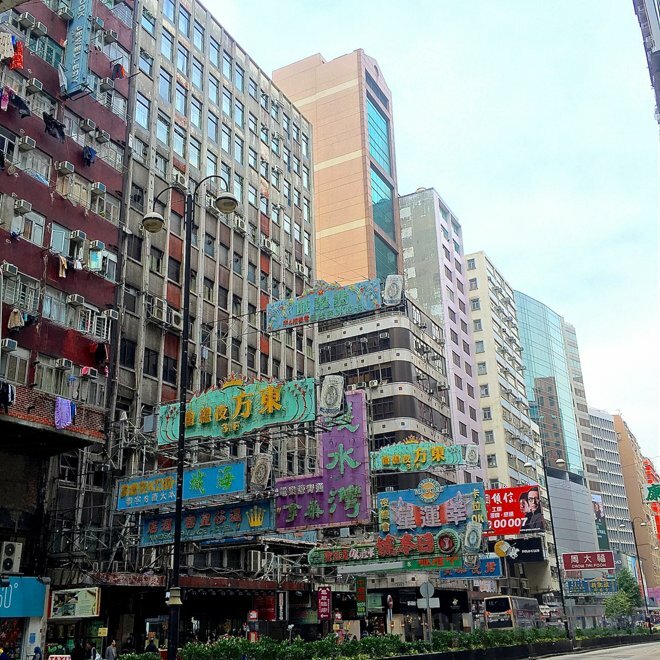 Additionally, Hong Kong isn't just serving its own population, but is a major destination for tourism (particularly shoppers) in the region in general and for mainland Chinese in particular. 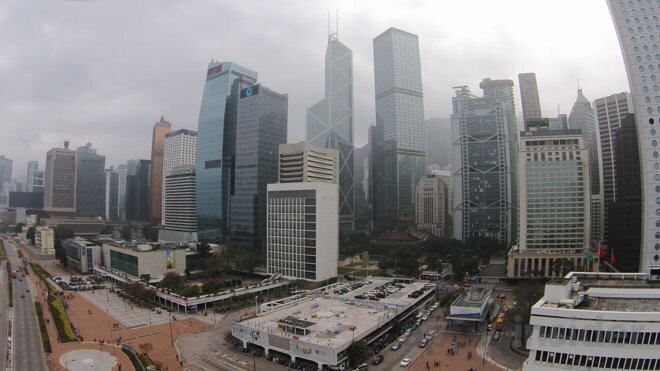 Hong Kong has served as a grey market orifice for importing iPhones into mainland China for years, even prior to the official launch of iPhone 3GS on China Unicom in 2009. Due to high sales taxes on imported goods in China, many shoppers bought themselves iPhones in Hong Kong, and a flood of iPhones have been smuggled into mainland China by opportunists seeking to mark up devices at a hefty profit. That trend has continued despite the official launch of iPhone 5s on all of mainland China's major carriers, including China Mobile. This fall, Apple launched iPhone 6 in Hong Kong on September 17, simultaneous with its launch in the U.S., Japan and Australia, one week before Taiwan but a month before it went on sale in mainland China. That indicates that Hong Kong is an important market for Apple, and that sales there helped boost Apple's Q4 results and continued to help Apple achieve 70 percent revenue growth in Greater China during fiscal Q1, starting in October. Despite those spectacular results, Taiwan, Hong Kong and mainland China all observe their biggest national holiday in Apple's Q2: Lunar New Year. This year, the holiday began in the second half of February, while I was in Hong Kong. The holiday resulted in several days of dramatically vacant streets in some areas, paired with excessively busy crowds in some shopping areas or related to the festivities, including parades and fireworks. 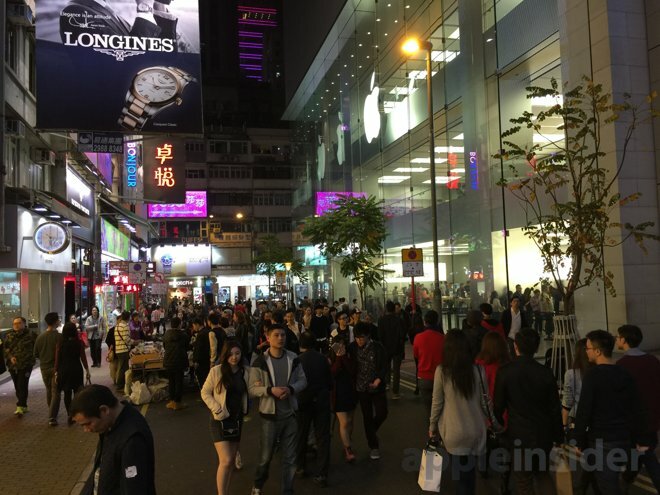 Five months after the initial launch of iPhone 6, Apple's Hong Kong stores still featured extended lines of customers waiting to buy the phone, and signs warned that not all models would be available for immediate pickup. This highlights why UBS analyst Steven Milunovich has raised his Q2 iPhone sales expectations to 58 million, well above the Wall Street consensus of 54 million and Apple's actual year ago quarterly sales of 43.7 million iPhones. 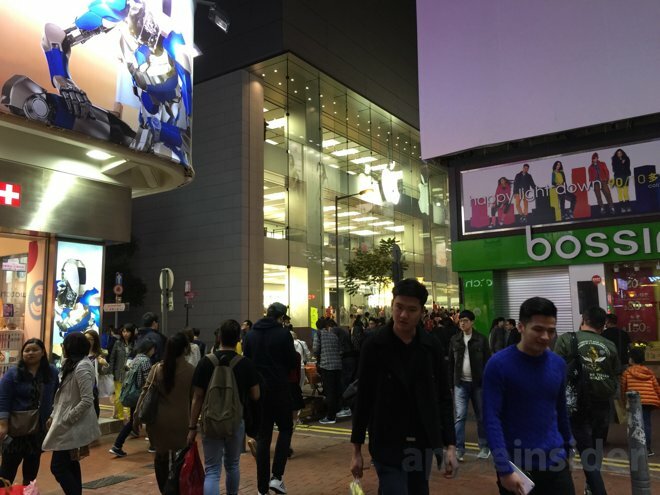 Earlier this year, reports bemoaned the fact that iPhone scalpers were paying people to wait in line to buy up all iPhone stocks in Hong Kong, and then turning around to sell them for a marked up price right outside the Apple Stores there, in addition to smuggling them into China. It isn't just iPhones that are being smuggled across the border; rampant grey market reselling of a wide variety of goods by mainland Chinese has resulted in complaints among Hong Kong residents that the activity is inflating retail prices in the city, resulting in opposition to relaxed cross border migration and resistance to China's plans to make travel even easier via the planned direct high speed rail linking Hong Kong with Shenzhen (which has at least 12 million people--unofficially closer to 20 million people--just across the river to the north). High speed rail would also facilitate massive migration from the incredible populations of the nearby megacities connected to Guangzhou--the world's largest built up area--with more than 44 million people. In total, there are more than 106 million people living within the relatively small Guangdong province adjacent to Hong Kong. That province covers an area slightly smaller than Oklahoma or Florida. In comparison, those states have a population of nearly 4 million and nearly 20 million, respectively. If Hong Kong seems densely populated and full of potential for Apple as a tech-hungry, affluent middle class, consider that just the neighboring province of Guangdong by itself has at least 150,000 millionaires, about as many as San Francisco. That entire province currently has one Apple Store. 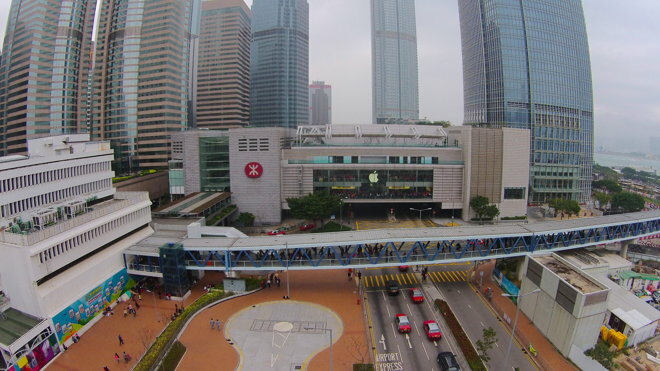 Inside Greater China: Apple Inc in Hong Kong from AppleInsider on Vimeo. An earlier report covered Apple in Taiwan.